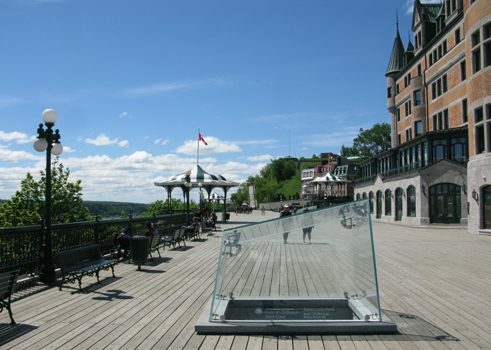 The Château Frontenac is without a doubt one of the architectural monuments most symbolic of Quebec City. The château, whose construction started in 1893, is actually part of the city’s later history. There was another château that stood on the same spot earlier: the Château Haldimand. 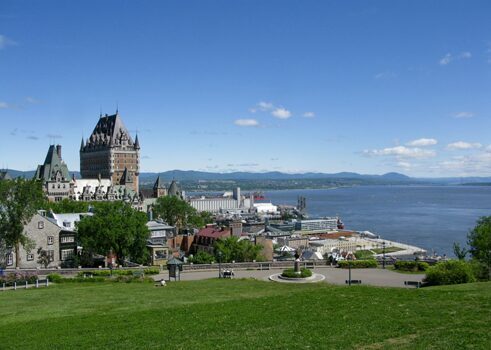 This building was the political and administrative centre of the province of Quebec in the 18th and 19th century, and its history is connected to the Germanic world. At the beginning of the North American colonial war in 1754, Great Britain was ruled by King George III, who was of German descent. He was not only the British monarch, but also a prince of the House of Hanover within the Holy Roman Empire. Under his rule, Great Britain recruited numerous soldiers and workers from the Holy Roman Empire and neighbouring Germanic regions. It was in this context that a large number of soldiers of German origin received orders to support British troops in the conquest of New France. Among them was the Swiss-born Frederick Haldimand, who was recruited by the British in 1756. At the time, he was 38 years old and had already spent 15 years in the Prussian army. As a first lieutenant in the British army, he led important military operations that contributed to the conquest of New France (today Quebec and other regions in North America). He was particularly involved in the capture of Montreal in 1760. When New France was finally surrendered to Great Britain in 1763, Frederick Haldimand held numerous important administrative posts in the territory which was to become the province of Quebec. A few years later, he was officially named governor of Quebec, meaning he occupied the highest office of the British colony. During his time in office, he supported the defence of the colony and fought against the threat of an American invasion. At the same time, he coordinated the settlement of the province by British loyalists, while still preserving francophone language rights. Because of his diplomatic efforts, he achieved a conciliatory climate between the old French inhabitants and the new British settlers. One of Frederick Haldimand’s final official acts was to order the construction of a château on the summit of Quebec City’s foothills. It was meant to act as the political and administrative centre for the whole colony, as well as being the governor’s seat and accommodating spaces for political gatherings. The building was erected between 1784 and 1786. At this time, Frederick Haldimand retired and returned to Europe, where he died in 1791. His political legacy has a lot of meaning in Canada, as it was based on some of those same elements that still characterize the country today: bilingualism and the mix of French and British laws. 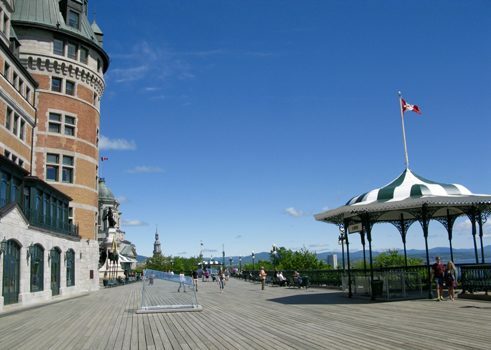 As to the Château Haldimand, it remained an important building in Quebec City during its entire existence, which lasted over a century until it was demolished in 1892 and the Château Frontenac was built in its place.